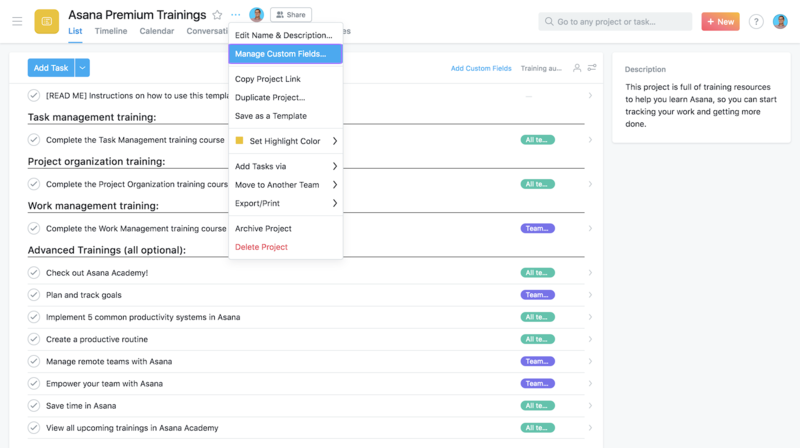 Asana-created templates make it fast and easy to add new workflows into Asana. 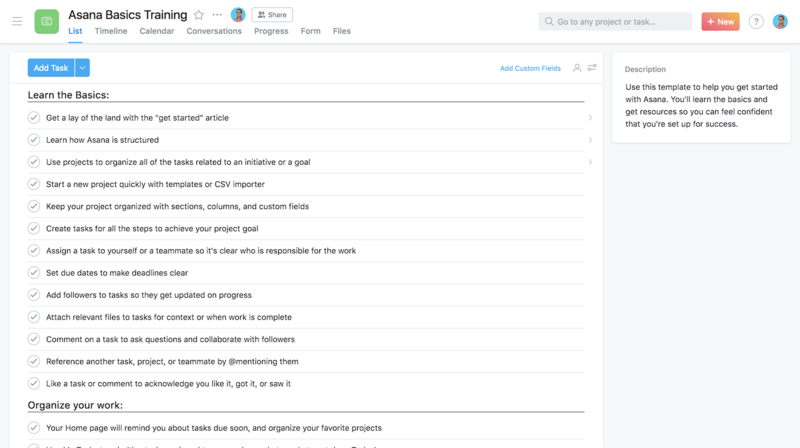 By using these templates, you can also follow our suggested ways of tracking your work in Asana, and further customize the projects to match your team’s needs. 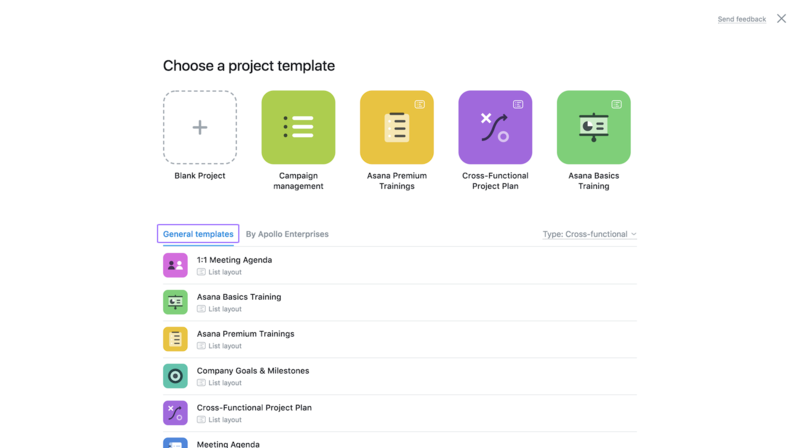 With Asana templates, you don’t have to build workflows from scratch. You can set up projects to track your work perfectly from the start. 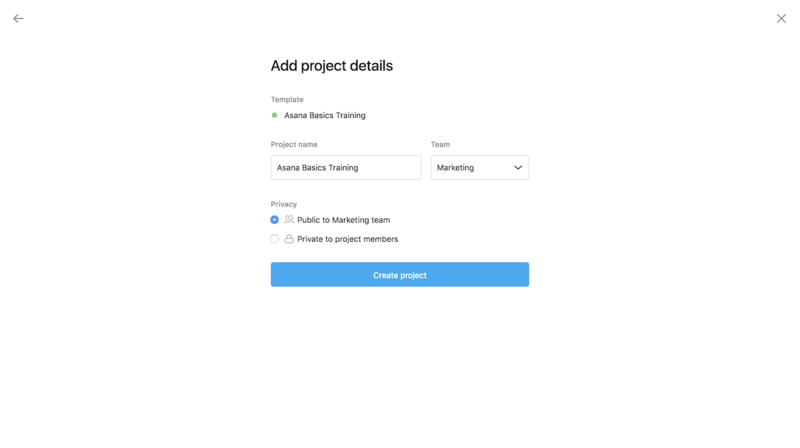 Select a template from the exisiting Asana templates or choose a template from the General templates tab. 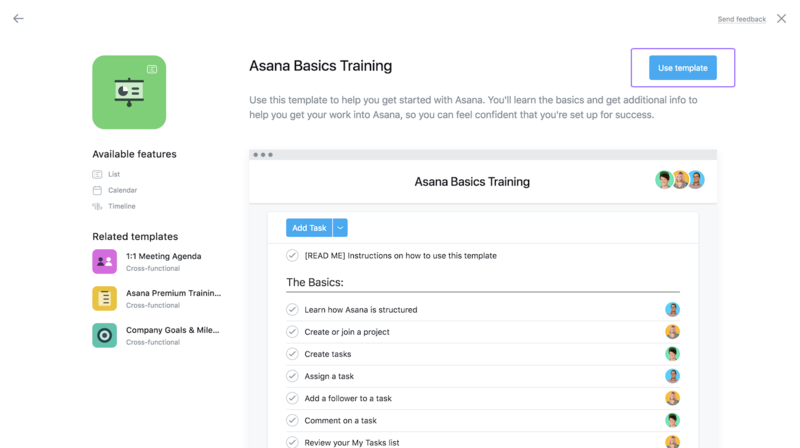 Preview an Asana template to see what it looks like and how you could use it. Then, click Use Template when you’re ready to create it. Next, you have the option to rename the template, and choose which team the project should go in. You can share the project with your team, or make it private to project members. Click Create Project when you’re finished. Initially, you may want to make the project private so you can customize it to best fit your workflow before making it public to the team. If you have a recurring workflow, you can make your own template and then copy the project each time you need to use it. Next, you’ll want to customize the project to fit your team’s workflow. Once your template is created, we recommend reading the instruction task at the top of the task list before using or making any changes to this template. This task is marked clearly with “[READ ME]”. The template tasks in the project represent suggestions and placeholders to give you an idea of how to use the project. You can edit the sectionssections Sections let teams organize your task lists. Divide projects or My Tasks list based on category, workflow stage, or priority. Read more and taskstasks Tasks are the basic unit of work in Asana. Tasks can represent any kind of work, break down work into smaller pieces, or store information. Read more as needed to make this project fit your needs. 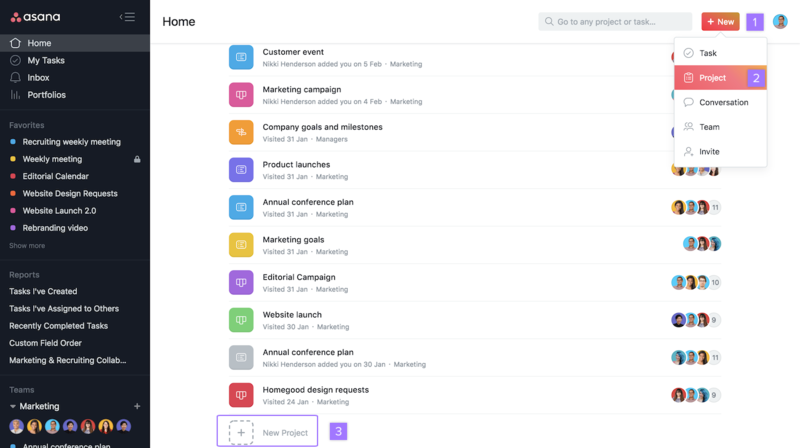 Asana Onboarding and Meeting Agenda are free templates that any Asana user can create. 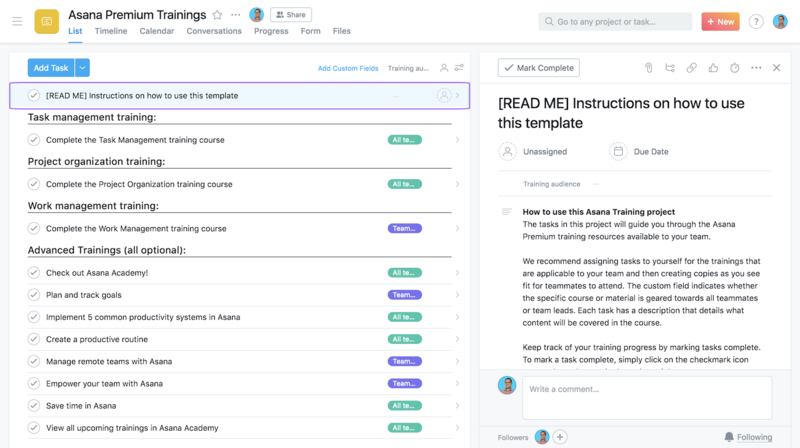 Upgrade to Asana Premium for more template options. Every Premium template has 2-3 custom fields created by Asana to help you track additional data in your project. You will see the Asana logo next to these fields, and in Advanced Search. To manage custom fields, click the project actions dropdown, and select Manage Custom Fields. You cannot edit Asana template fields, but you can always add new fields or remove them. Like all custom fields, once created, you can use them across all Asana projects.